Disclosure: I received the following clothes from Zutano for review. All opinions are my own. The weather was really nice when we visited my mother in Florida a few weeks ago and what better time than to flaunt Zutano's latest designs for Spring? I love the quality of Zutano clothing as they retain their color and shape even after numerous washes. The unique prints are one of a kind and your child will be comfortable while playing. How apropos that Mason is wearing the Crocs Toddler Camp Shirt ($30) and Kenzie is wearing the Flamingo Toddler French Terry Skort ($34) with Hot Pink Toddler Cap Sleeve Tee ($20) at a beach in FL? 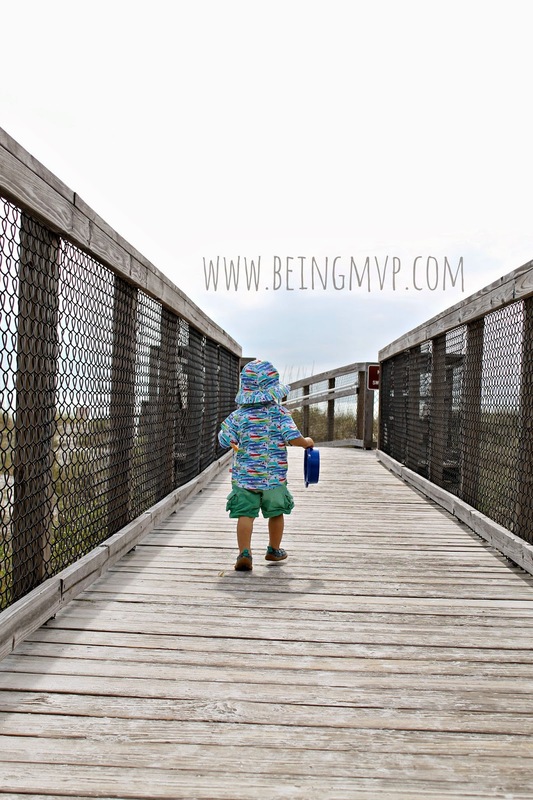 We ended up going to Honeymoon Island State Park rather than the usual beach and although I didn't pack the kiddo's swimsuits (since they never go in the water at our CA beaches), they had a blast wearing their Zutano in the sand and water. The Crocs design is just so delightful and you can hardly notice the exact print until you are semi up close. 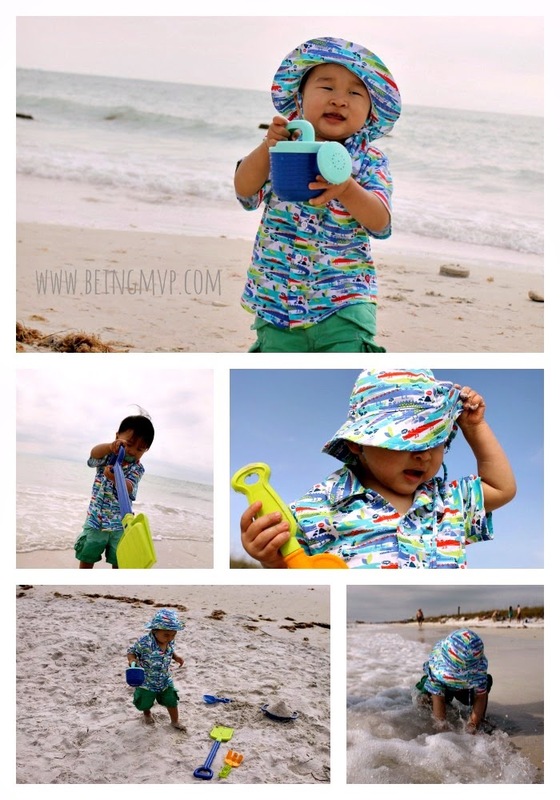 The brightly colored creatures are not scary at all and Mason looks like such a big boy wearing this style of shirt! On cooler nights, he can wear a long sleeve onesie underneath. I absolutely love the Skort with flamingo detail. This is girly yet allows for Kenzie to sit or frolic without my worry of her showing her bits. The stripe waistband complements the tee which looks great tucked in or out. Both were so comfortable and had a blast chasing annoying sea gulls, flying kites, building semi-sand castles, running into the waves and picking up shells. I remember obsessing over flamingos when I was a child and constantly drawing them in endless numbers. I was excited for Kenzie to go to the zoo and see my beloved childhood friends so she suited up in her Toddler Flamingo Tee ($20) and Toddler Flamingo Shorts ($27). I have a slight bias toward gators since I went to University of Florida so when I suited Mason up in his Toddler Crocs Tee ($22) and Mandarin Terry Shorts Toddler ($28), I got a huge smile on my face. I got all reminiscent of the good 'ole days. The interlock cotton that Zutano uses for their clothing is just super soft and comfortable for little ones - even ones with sensitive skin like Mason. It's not thin nor super thick but just right. I would lounge in Zutano if they made clothes in my size! 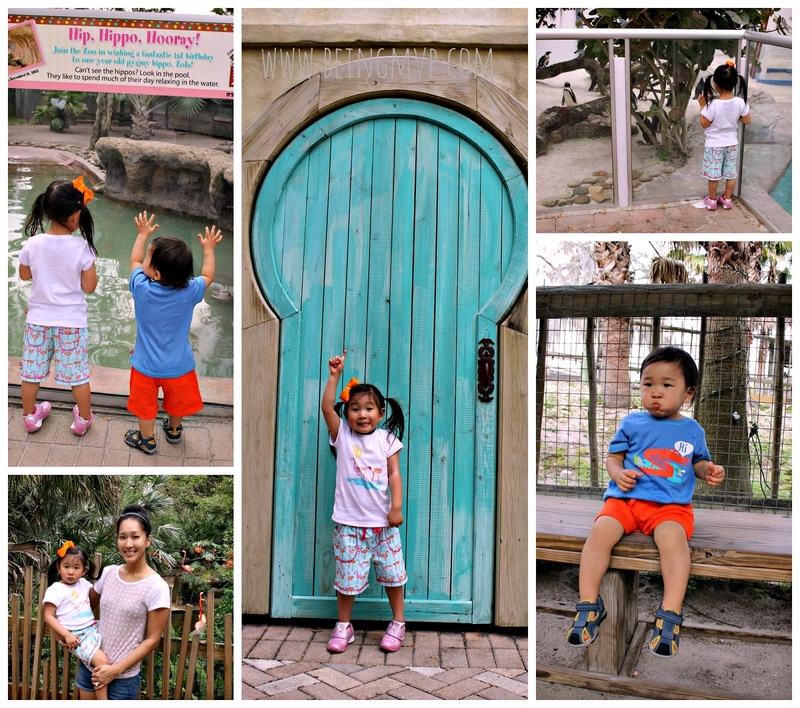 Both had an amazing time at the zoo especially when I pointed out the flamingos and alligators - learning by association. One winner will Receive a $75 Zutano Gift Card! I really like the Owls Toddler Ruffle Hem Dress! I'd get the Elephantasia Toddler Ruffle Hem Dress for my daughter! Zutano has the cutest prints! I'd love to get a few dresses for my daughter (ideally in the Blaue Blumen print) and the Zutano Just For Aden Sunday Drive Swaddle 4 Pack. Love the bright colors. I would get the Toddler Shaggy Jacket. I'd love to get the Super Hero Newborn Kimono Top, Elephants Newborn Short Sleeve Body Wrap, Pool Elephant Baby Short Sleeve Screen Tee, and Penny Lane Toddler Cap Sleeve Tee. and Owls Toddler Ruffle Hem Dress, Owls Toddler Cottage Dress, and Flamingos Toddler French Terry Skort! So cute!! I would love to get the Elephantasia Baby A-Line Jumper and the Le Cirque Baby Reversible Hoodie. Reversible! That's so neat. I love the toddler boys aviator outfit! I would get the Super Stripe Baby Footie. I love the Owl Baby Surplice Dress. Too adorable!! I like the digital polo shirt. I would love to use my $75 towards buying some Spring & Summer dresses for my daughters, like the Flamingo Toddler Ruffle Hem Dress and the Owls Toddler Tie Waist Dress! So cute! I would like to have their Zutano Just For Aden Sunday Drive Swaddle 4 Pack. I'd love to spend it on baby dresses like Wonder Cat Baby Princess Dress and Owls Baby Dress, thank you. I would get Patty Cake Toddler Long Sleeve Tee. I haven't completely decided but I think I would pick the Owls Baby A-Line Jumper. I'd like to get a "road trip" hoodie and the "elephants" body wrap for my baby boy. I love the super hero print tshirts and fleece hoodie. I'd love a couple of the reversible toddler hoodies and the cozie fleece booties! 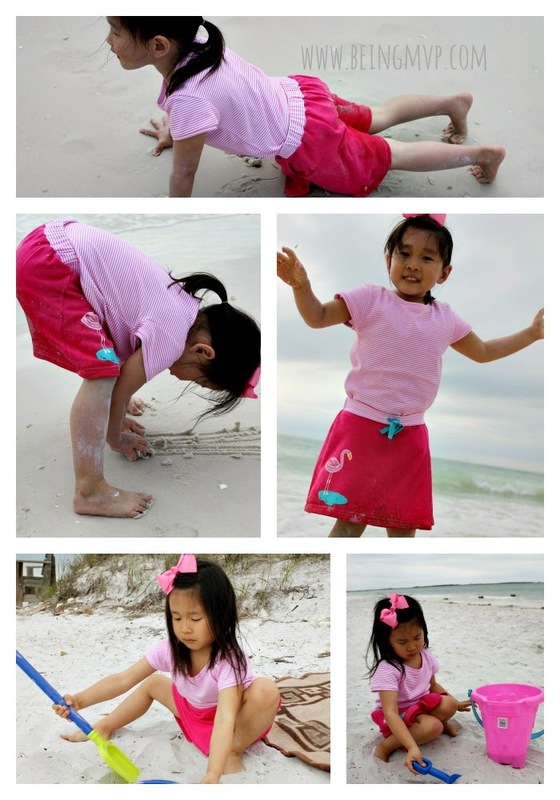 I love the flamingo toddler ruffle hem dress for my daughter! I would choose two of the Doily Floral Toddler Pleat dress for my 2 daughters. I really enjoy how cute and feminine their clothes are. Super Clever Baby Reversible Hoodie - love! i like the Giraffee Screen t-shirt for boys. I would love to get the Woof Club look. I really like the Woof Club Baby Reversible Zip Hoodie. I like the Little Bear Buddy outfits. I would get my son some new shirts. I love their striped t shirts and I love the elephant print. I also love the navy and white striped romper! I'd buy a few cute dresses for my niece. She loves dresses and always trys to talk me into buying her one when we're out. I'd probably go with the Doily Floral Toddler Henley Dress, the Owls Toddler Cottage Dress and the Pool Knitwit Toddler Pleat Dress!! I love Zutano's toddler dresses! I would definitely get the Apple Tree Toddler Pleat Dress! Aaah! So many things! But here's approx $75 worth of fun: Super Dog Plush, Mochi Cat Plush, Helix Bow Tie, and two Black Super Hero Masks for my kids (I made them superhero capes for Christmas, so these would be perfect)! The Aden & Anais blankets, towels and also the stuff from the hello crocodile line! There are so many cute things there but I think I would use it on some summer clothes. I love how bright they are. I like Super Stripe Toddler Reversible Hoodie. I'd love to ger a pair of the cozie baby booties, the new swaddles and a toddler hoodie!! I really love the Apple Tree Gown and ALL the booties! My son would look good in the Digital Toddler Reversible Zip Hoodie. I would get the Toddler Shaggy Jacket and the digital toddler reversible hoodie. I love the Terry Toddler Bodice Jacket, it would be so cute on my daughter. Visited the site and I would purchase the Gray Toddler Cozie Hoodie and Woof Club Toddler Cargo Shorts for my son. I love the woof club toddler hoddie and the navy and white stripe hoddie! so cute! I would love to get the Elephantasia Newborn Banded Waist Dress and the Owls Newborn Flutter Sleeve Surplice Dress, thanks! I like the Owls Toddler Tie Waist Dress.